I hear all the time that people want to be physically active but that they’re just not sure where to start. There are many different types of physical activities you can do on a regular basis, but I like walking best! Research has shown that walking can reduce blood pressure, the risk of stroke and coronary heart disease, osteoarthritis and depressive symptoms, and much more. Remember, it’s okay to start small and work your way toward a bigger goal. For instance, 60 minutes of brisk walking the first week would be great. The next week you may increase that to 70 minutes, then 80 and so on until you’re meeting the physical activity guidelines. Another idea is to mix up the activities you’re doing. Maybe you start with walking and then add some hiking or biking here and there to keep things interesting. Don’t be afraid to make your physical activity fit YOU! 2) Walk during your lunch break. Research has shown that even 10-minute bouts of brisk walking a day can decrease your blood pressure. Consider walking each day during your lunch break to get started. Walking for 10 minutes, seven days a week will log you more than an hour of physical activity! 3) Use a pedometer. Ever heard of a Fitbit, Jawbone, Garmin Vivofit, Nike+ Fuelband, Omron, etc.? These are all great devices to track the amount of steps you’re getting a day and hold yourself accountable. Some of these devices even wirelessly sync with your smartphone. Research says that we should aim for 10,000 steps a day. But remember, it’s OK to start small and work your way there over time. 4) Try MapMyWalk. I’ve been using MapMyWalk for more than a year, and I love it! 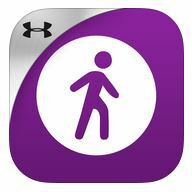 This is an app that will tell you the distance you’ve walked, average pace of each mile and even show a map of where you walked. You can create your own routes or copy routes that have already been saved. It even has a friend network so you can see how many miles your friends have walked—if you’re motived by a little competition! 5) Find a buddy. Who wouldn’t agree that doing any sort of physical activity is better with a buddy? I’m way more likely to take a walk outside if I know someone’s waiting on me. Set goals together, walk during lunch, compete with each other on MapMyWalk, and best of all, socialize! 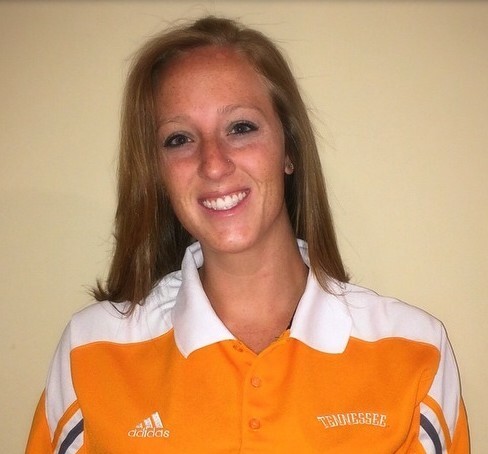 Emily is a graduate teaching associate in the Department of Kinesiology, Recreation and Sport Studies at UT Knoxville and is currently working a master’s degree in exercise physiology. She’s also the graduate assistant for the Center for Physical Activity and Health at UT Knoxville. Emily enjoys spending time with God, friends, family and her boyfriend and puppy, Lola. Previous Previous post: Shingles—Not Just Things on Your Roof!